There’s a lot to love about San Sebastian. 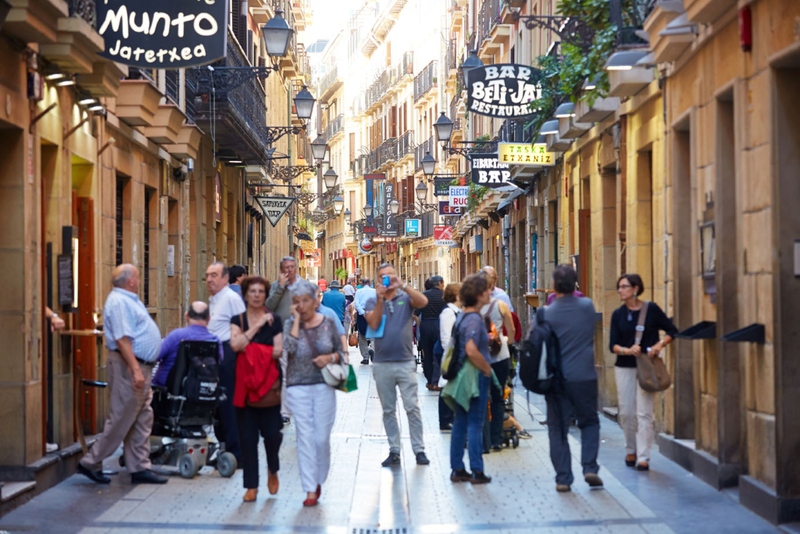 From the charismatic small laneways of the old town to the sun drenched beach of La Concha and everything in between, this picturesque Spanish city never fails to impress. San Sebastian has evolved into one of the world’s hottest food destinations over the last 30 years, and boasts the highest number of Michelin starred restaurants. But putting fine dining aside for now, what I love most about San Sebastian is their atmospheric pintxos bars which pack the narrow cobble stoned streets of Porto Vieja day after day. Pintxos are the Basque equivalent of tapas but not as big and designed to be just a bite or two. Traditionally, pintxos were often served on the bar’s counter with a toothpick or skewer through them to keep the food together. But pintxos have evolved a lot in recent years. Now some of the best pintxos are best enjoyed cooked to order from the blackboard’s specials in more modern, contemporary varieties. Although pintxos bar crawling can be quite a hectic dining experience, it’s a perfect way to soak up the Basque culture and enjoy some top-notch local cuisine. Don’t forget to try a glass of Txakoli, a lightly sparkling, dry white wine to see the high pour in all its glory. Here’s a guide to some of my favourite pintxos bars around town, which will have you designing your own fun fuelled pintxos bar crawl in no time! This was my most visited pintxos bar in San Sebastian, and, for good reason, the food is superb! Be prepared to wrestle to get served at this chaotic bar; it gets very busy with both locals and tourists. Order from the blackboard menu, or, if you’re feeling indecisive, ask the waiter for the house specialties. The tuna, the melt in your mouth style beef cheeks (Carrillera de ternera) and foie come highly recommended. I also loved the suckling pig, which has an incredibly crisp crackling. Hidden slightly off the beaten track in the old town, this is one bar that’s definitely worth seeking out. It’s no surprise that Borda Berri is the brainchild of Iñaki Gulín , the mastermind behind La Cuchara de San Telmo. 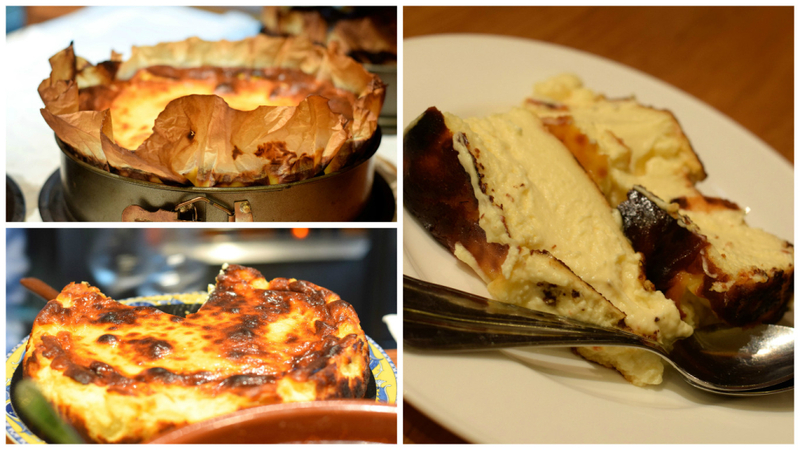 Here you can expect a nice mix of Old World Spain meets modern Basque cuisine. Like La Cuchara de San Telmo everything is cooked to order here. There’s a rather delicious Spanish risotto of orzo and idiazabal (a Basque cheese), succulent pork ribs and crispy pigs’ ears if you’re feeling adventurous. For seafood, don’t miss the cod tripe in pil-pil sauce. The service may be a little brash at times here, but don’t be offended – it comes with the territory with busy pintxos bars. Try to get here early to avoid some of the popular dishes selling out early. I never even realised I liked anchovies, that is before I went to Bar Txepetxa. 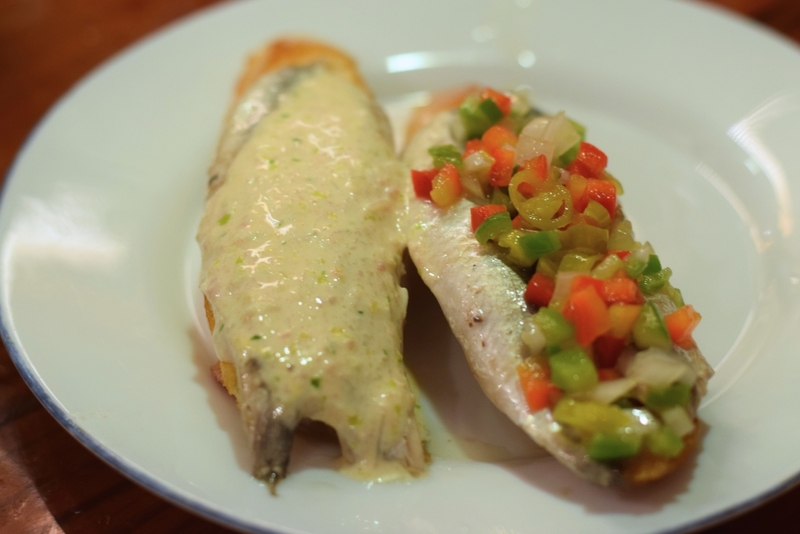 This pintxos bar specialises in just one thing – you guessed it, anchovies! 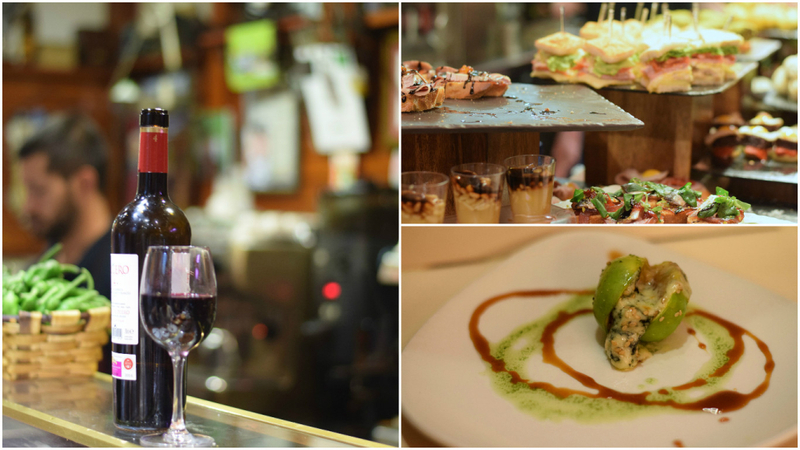 Bar Txepetxa opened its door over 40 years ago in 1973 and has received rave reviews and awards ever since. Just look at the press clippings adorning the walls. The staff are super friendly here and more than happy to have a chat and make recommendations. Choose from a selection of around 20 mouthwatering varieties topped with bell peppers, olive tapendade and sea urchin roe – just to name a few. The anchovies are prepared freshly and are marinated in a secret family recipe. Try one of their signature pintxos, the ‘Gilda’, anchovies with green olives and pickled peppers., named after Rita Hayworth. 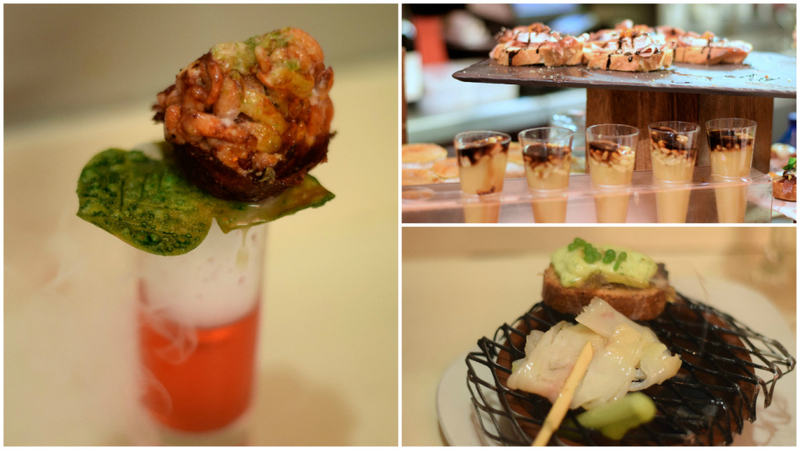 If you’re looking for pintxos of the more inventive variety, think no further than award-winning Bar Zeruko. Look beyond the counter laden with cold pintxos, and order the “La Hoguera,” which comes with a small grill where you can cook your own cod. Or the “Rosa de Bogavante” – a rose infused lobster served with a shot of dry ice. Just be careful not to drink it! For the less adventurous, just pick up a plate and fill it up with some of their delicious pintxos and the waiters will warm it up for you. The bar may not be everyone’s cup of tea, but it’s definitely worth trying. There’s one main reason why crowds flock to La Vina, and that’s for the cheesecake. The home-made cheesecake is as soft and creamy as they come, almost custard like in consistency with a lovely golden brown caramelised crust. There’s also a wide selection of hot and cold pintxos on offer too. La Vina is the sweetest ending to any pintxos bar crawl in San Sebastian. Be warned, the portions are really generous, so make sure you save room! 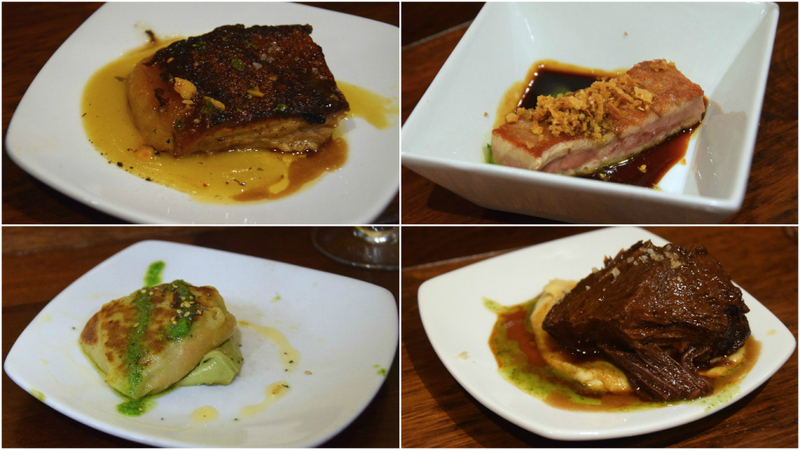 In terms of price, Ganbara is a cut above the average pintxos bars in town. But it’s sure as hell worth it. Here you can enjoy specialties like wild mushrooms served with a poached egg and foie gras and their delicious homemade croquetas and spider crab tarts. Ganbara also have a great wine list, so be prepared to linger in this atmospheric bar for a while. It’s an essential stop of any pintxos bar crawl while in town. Seafood fanatics, this is your stop. Goiz Argi specialise in fresh fish with house specialities including the grilled squid (chipiron a la plancha) and prawn skewers (brocheta de gambas). Goiz Arzi may not be the most beautiful bar in the Old Town, but it makes up for its quality pintxos and welcoming atmosphere. Don’t forget to throw your napkins on the floor before leaving! I hope you all enjoy San Sebastian as much as I did! I’ve heard so much about San Sebastian as a food destination – your blog post only confirms it further. Would so love to go there someday!